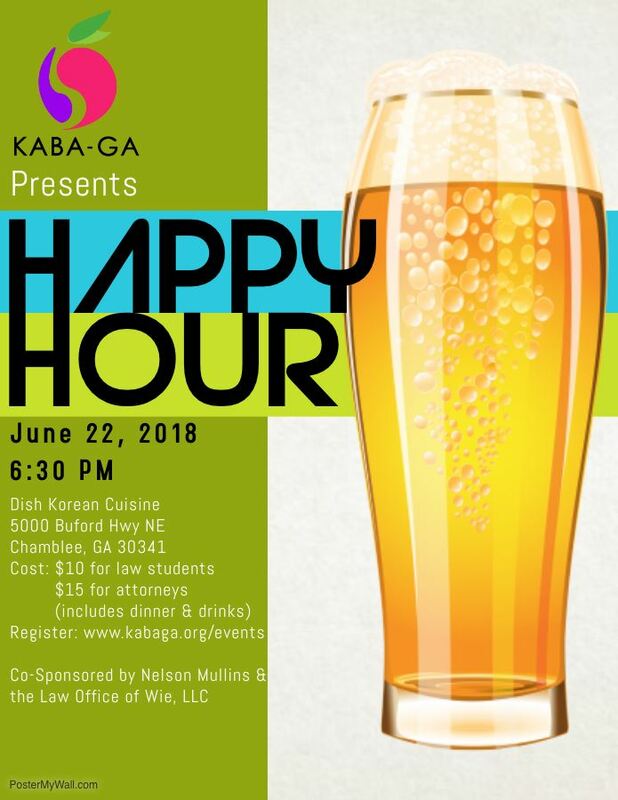 Korean-American Bar Association of Georgia - KABA Summer Happy Hour Kicks Off IAKL Conference Registration Launch! KABA Summer Happy Hour Kicks Off IAKL Conference Registration Launch! KABA-GA announces that REGISTRATION for the 2018 Conference of the International Association of Korean Lawyers (IAKL) is NOW OPEN!